Unlike most Android device makers, Google promises monthly updates for its Pixel smartphones. For the 2016 Pixels, that consisted of two years for system updates and another year of security OTAs. Owners of those phones were naturally concerned when the November security update never arrived while newer devices got quick OTAs. Well, now it has. We're getting reports of the OTA reaching phones right now, but you can also grab the files and sideload. There are system images, which you can install over anything but require an unlocked bootloader. The OTA files let you sideload the update as long as you're running the official software, and this works with an unlocked bootloader. Note: both phones have general and Telus-only versions this month. There are no major changes in this update—it's a security patch, after all. Pixel owners seemed mostly bothered by the principle of the delay. 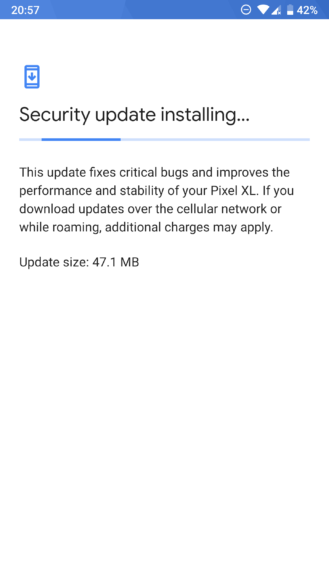 Google promised updates, and there was no update. The nerve! When we checked with Google, a spokesperson said the update was still in the works. 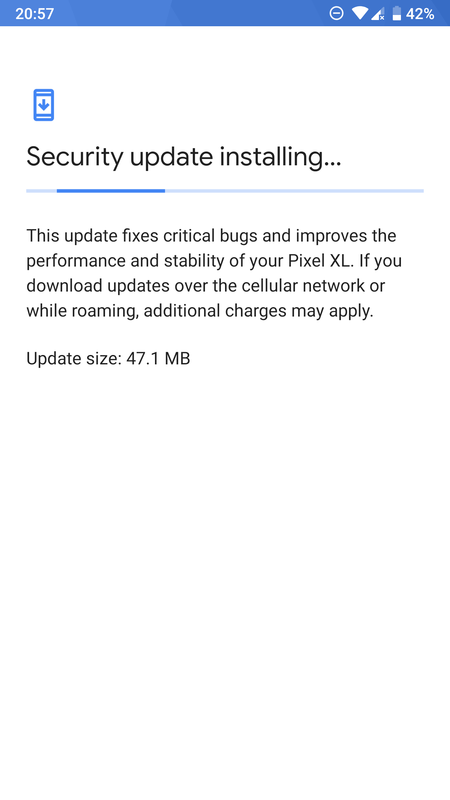 It'll be interesting to see if Google continues falling behind on updates for older Pixels. 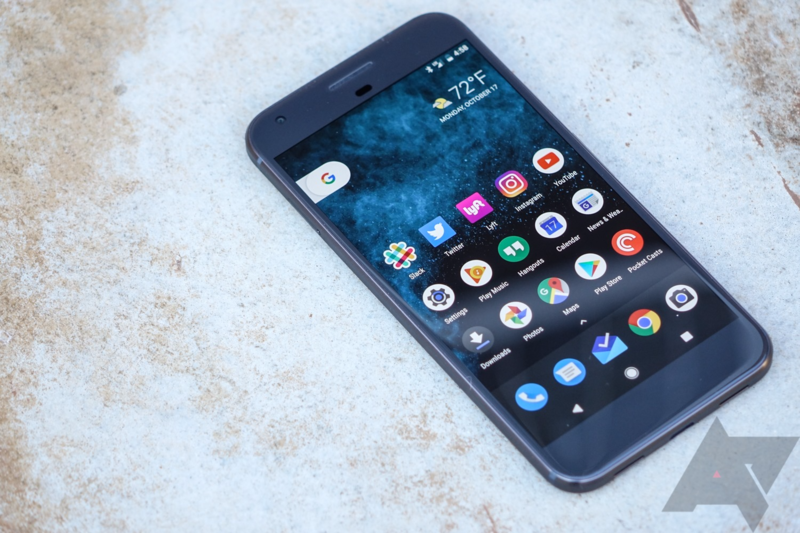 The 2016 Pixel's delay in receiving their November monthly security updated garnered plenty of attention, but a technical explanation for the additional wait was never provided. If you've been curious, we're told the developers of the popular ROM Dirty Unicorns may have dug up a potential answer: Google ran out of space in the system partition for those devices trying to bring APEX to the hardware. A comment attached to a commit on the Google Git for Marlin corroborates this explanation, as does the schedule of this commit with the delayed update's ultimate release (fix in November 14th -> update released November 19th on the first Monday to follow). This still doesn't explain why the OG Pixel and Pixel XL received earlier-dated November 1st patches while the more recent Pixels got November 5th — an omission which we're told includes significantly fewer patches. The comment on the commit states that this shouldn't be a problem once more space is freed on the system partition through moving the Android Runtime elsewhere. Let's hope this isn't an ongoing problem with the schedule for future updates. Evidence has surfaced discounting the APEX theory. The merge prior to release for Marlin on Google Git predates the APEX-related commit by two days, which casts doubt on how APEX requiring more space in the system partition could have affected the recent update's release. It was a plausible theory, but it's likely to be incorrect.